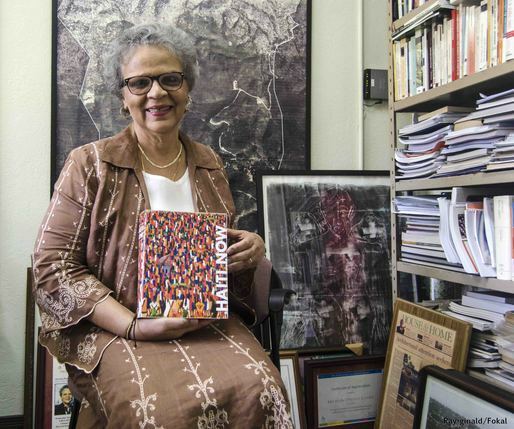 Thom Mayne and Eui-Sung Yi join us to discuss their recently published book, Haiti Now – a herculean resource on post-disaster urbanism in Haiti, published by their urban think tank, the NOW Institute. The rest of this episode takes a look back at the first forty episodes of Archinect Sessions, as we wrap up season one. Each new episode has expanded, and sharpened, our idea of what the podcast can and should be. We've spoken with some pretty heavy hitters, including Denise Scott Brown, Kevin Roche, Patrik Schumacher, Tod Williams and Billie Tsien, Bjarke Ingels, Thomas Heatherwick, Christopher Hawthorne and Michael Rotondi, as well as some up and comers, like Andrés Jaque (winner of MoMA's 2015 YAP), Jimenez Lai, and Nicolas Moreau and Hiroko Kusunoki (winners of the Guggenheim Helsinki competition). It's been a blast, but moving forward, we want to tighten up, dig deeper and move the proverbial furniture around. We'll start up season two in the coming weeks, but while we're on hiatus, we'd love to get your feedback – tell us what you think of the podcast by taking this short survey, or rating us on iTunes. Your thoughts will help us shape Sessions' next season. We're very excited to have Denise Scott Brown on this episode, to share some family history behind the Vanna Venturi house – the house that her husband and collaborator, Robert Venturi, built for his mother in 1965, and helped set a new tone for 20th century architectural history. 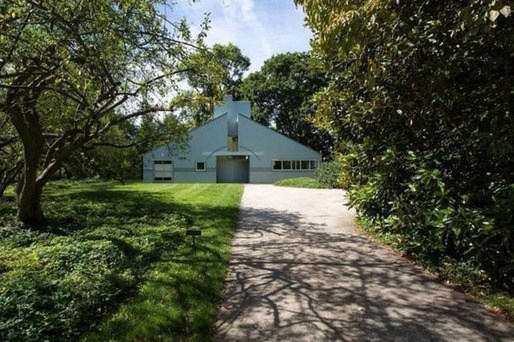 The house is now for sale, listed at $1.75M. Also joining us on this week's episode is Katherine Darnstadt of Latent Design in Chicago. A native Chicagoan who trained and practices as an architect there, Katherine shares her reflections on building a practice and connecting to a city. We met Katherine back in May at the AIA National Convention, and have been itching to have her on the podcast since. We also touch on the bonkers news item that is Japan canceling the Zaha Hadid designs for its Olympic Stadium in Tokyo, citing overwhelming construction costs. And finally, we're nearing the end – of Archinect Sessions' first season. This episode is our second to last, and after #40 we'll be taking a short break, then returning with a revamped new season. Send us your feedback: what you loved, hated, and want to see in Season 2! Reach out through connect@archinect.com or on Twitter, with #archinectsessions. Also, keep your eye out for Archinect's "Dry Futures" competition, seeking design solutions to California's historic drought. The competition launches July 27. This week on the podcast: Gehry's design for the Eisenhower memorial is finally approved, Zaha Hadid's Olympic Stadium in Tokyo gets cut-and-pasted into some very Japanese situations, and Peter Zellner, Principal and Design Lead of AECOM's architecture division, and founder of Zellnerplus, sits down for a chat. Our episode this week revolves around Paris – city of lights, riots, artists and cheese-shaped skyscrapers (or at least, those are the bits were talking about). As part of a nationwide strike against UberPop, the cheapest Uber-affiliate in France, taxi drivers in Paris launched a riotous protest on June 25, terrorizing Uber drivers and generally disrupting Parisians in transit (and Courtney Love). Contention (albeit the nonviolent kind) also arose in response to Herzog & de Meuron's new Tour Triangle skyscraper, which Paris officials approved on June 30. It will be the city's first skyscraper since the much-maligned Tour Montparnasse was built in 1973, precipitating a height limit on new buildings (that has since been relaxed). Critics are unhappy about the Triangle's intrusion onto the Parisian skyline, and its inhospitable-looking atmosphere on the street level. 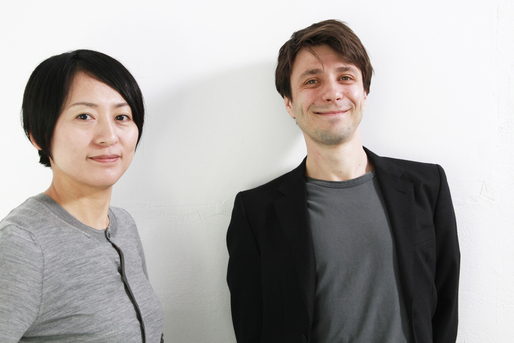 Paul also shares his conversation with Guggenheim Helsinki winners Nicolas Moreau and Hiroko Kusunoki, following up on our discussion of their winning proposal on Episode #35. For a refresher on Moreau Kusunoki's work, check out our piece, Who are Helsinki Guggenheim winners Nicolas Moreau and Hiroko Kusunoki? We're also pleased to share Paul's interview with Paris-based artist Xavier Veilhan, whose series of interventions into some of the world's most famous modernist landmarks have culminated with his book, Architectones. 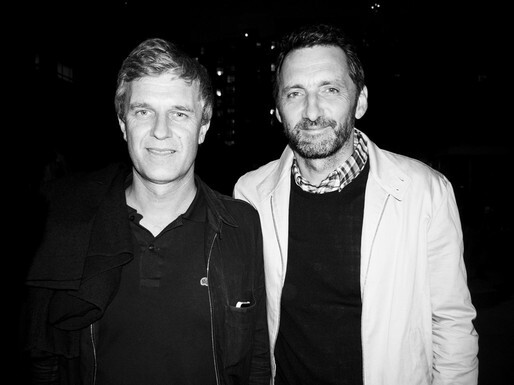 Paul spoke with Veilhan, along with his Los Angeles-collaborator, François Perrin, at the book's launch at MOCA a few weeks ago. This week, we dip into the swamp of whether so-called "poor doors" (separate entrances for affordable and market-rate housing tenants) are discriminatory, highlighting discussion points made in the wake of New York's decision to make them illegal. We also follow up on the investigation into a balcony collapse in Berkeley, California that led to six deaths, and ask Brian Newman, Archinect Sessions' Legal Correspondent, what legal recourse is possible for everyone involved. Virtual built environment wizards Thomas Hirschmann and Anthony Murray, founders of documentation and preservation firm The Third Fate, also join us for an interview. Their work seeks to document, preserve and activate the built environment through virtual realities.